We rang the Kensington & Chelsea Tenant Management Organisation and asked them to apologise for threatening the Grenfell Residents who complained about the safety standards. "You are the people (Kensington & Chelsea Tenant Management Organisation) who were in charge of the safety standards in Grenfell Tower, aren't you?" "Yes." - Kensington & Chelsea Tenant Management Organisation "You are the ones who sent the threatening legal letters to the two bloggers who warned you about the safety standards in Grenfell Tower - aren't you?" "Yes." - Kensington & Chelsea Tenant Management Organisation "Those two bloggers are now dead. They would still be alive today if you had listened to them. Are you going to apologise on behalf of your organisation for sending those threatening legal letters?" "....we're sorry you're upset." - Kensington & Chelsea Tenant Management Organisation Despite admitting to silencing the bloggers who warned them about the safety standards in the building, to date, Kensington & Chelsea Tenant Management Organisation have accepted no blame for their role in precipitating the disaster that was Grenfell Tower. The reason their press officer refused to apologise on behalf of his organisation for threatening the Grenfell Bloggers with legal action for daring to tell the truth is because KCTMO has no intention of accepting legal, judicial or financial responsibility for the Corporate Manslaughter they committed. Instead of focusing on this, many in the press have tried to blame the Emergency Services. Note: You might think I'm being a bit harsh on this Press Officer. And I was. Remember that the reason he refuses to apologise as the Press Officer of KCTMO is because if he did, that could then have been used as evidence. Had he apologised, the question could then be asked of KCTMO: "If you aren't responsible for Grenfell, why did your Press Officer apologise on behalf of your Organisation?" We tried for 30 minutes to get them to apologise. There are several points in the interview where it is painfully obvious this guy has specifically been told not to apologise. Were I in this guy's shoes, I would have resigned in protest if asked to do this on behalf of KCTMO. For the life of me I cannot understand how human beings can be complicit with the murderous actions of the organisations they work for. This casual complicity absolutely enraged me during this phonecall. The reason I didn't post all of this stuff yesterday was out of respect for the Grenfell community, who have the right to direct the messaging of their cause on their anniversary as they see fit, and I didn't think it would be appropriate to make the anniversary of Grenfell about anything other than what the Grenfell residents wanted it to be. I'm still this angry about Grenfell. 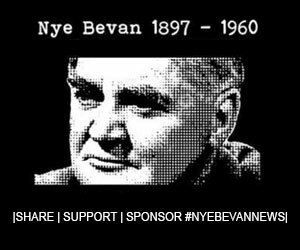 Before he was health Minister, Nye Bevan was housing Minister. He would have been ashamed of what Britain has become, that it would regress to the point where people's houses killed them. Despite admitting to silencing the bloggers who warned them about the safety standards in the building, to date, Kensington & Chelsea Tenant Management Organisation have accepted no blame for their role in precipitating the disaster that was Grenfell Tower. The reason their press officer refused to apologise on behalf of his organisation for threatening the Grenfell Bloggers with legal action for daring to tell the truth is because KCTMO has no intention of accepting legal, judicial or financial responsibility for the Corporate Manslaughter they committed. Instead of focusing on this, many in the press have tried to blame the Emergency Services. We tried for 30 minutes to get them to apologise. There are several points in the interview where it is painfully obvious this guy has specifically been told not to apologise. Were I in this guy’s shoes, I would have resigned in protest if asked to do this on behalf of KCTMO. For the life of me I cannot understand how human beings can be complicit with the murderous actions of the organisations they work for. This casual complicity absolutely enraged me during this phonecall. The reason I didn’t post all of this stuff yesterday was out of respect for the Grenfell community, who have the right to direct the messaging of their cause on their anniversary as they see fit, and I didn’t think it would be appropriate to make the anniversary of Grenfell about anything other than what the Grenfell residents wanted it to be. I’m still this angry about Grenfell. Before he was health Minister, Nye Bevan was housing Minister. He would have been ashamed of what Britain has become, that it would regress to the point where people’s houses killed them. Previous articleDennis Skinner on Democracy, the EU & Jeremy Corbyn.